Naturalico Vitamin C Serum is a combination of vitamin C and hyaluronic acid serum that addresses existing damage while providing potent antioxidant protection from new damage. Vitamin C brightens skin and stimulates collagen production while hyaluronic acid moisturizes to keep lines and wrinkles less deep. The Vitamin C serum also helps with age spots and to even skin tone. This clear serum comes in a glass bottle with a dropper. I found that it's easy to use too much so start with a little and add more to your face as needed, rather than using a whole dropper full. It really makes my face feel smooth and soft but also tighter and more toned. My skin looks even and glowing after using this, and it's gentle on the skin too. You'll still want to use a moisturizer afterward, but a Vitamin C serum is a great addition to any skincare regimen. 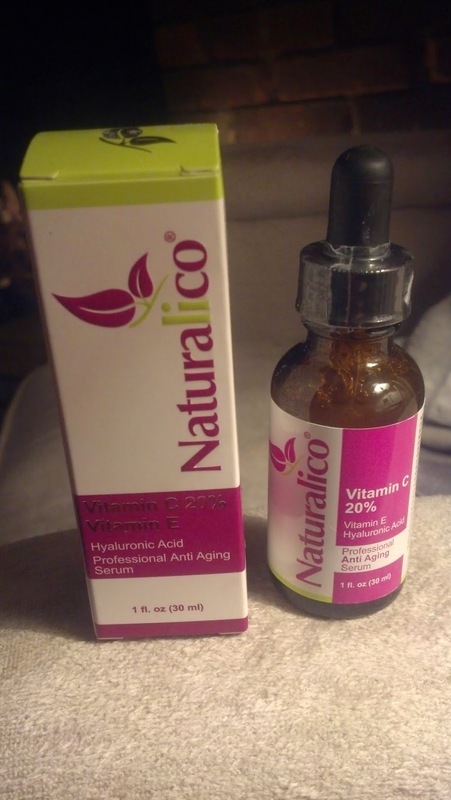 Overall, Naturalico Vitamin C Serum is gentle and leaves my skin feeling smooth, looking toned, and glowing.